If you use File Gallery on your own site in a ‘unique’ way, please send me a link via e-mail. When I collect a few interesting links, I’ll create a ‘Showcase sub-page’ with those links. This is what I was working on for my bachelor’s degree – a WordPress plugin which extends the default [ gallery ] shortcode behavior. Please take a look at the help file for more features, screenshots and explanations. If you have any questions or suggestions, please leave a comment on this page or in forums on WordPress.org. If you would like to see some other functionality included, please leave a comment here. The plugin will be available for download in a couple of weeks, I still have some bugs to take care of. In the meantime, if someone wants to beta test the plugin, please send me an e-mail at aesqe *at* skyphe *dot* org. I will e-mail you the plugin in its current state with some basic instructions on how to use it. The video demonstration doesn’t seem to be loading? still managed to watch it at http://www.youtube.com/watch?v=2TJbx_cCc2k – great work! So has this been release yet?? Emailing you nonetheless .. I used to use a plugin called NexGen, and I implemented an image sharpening script upon thumbnail creation (because sizing images down blurs them and much detail is lost depending on the content of the image). 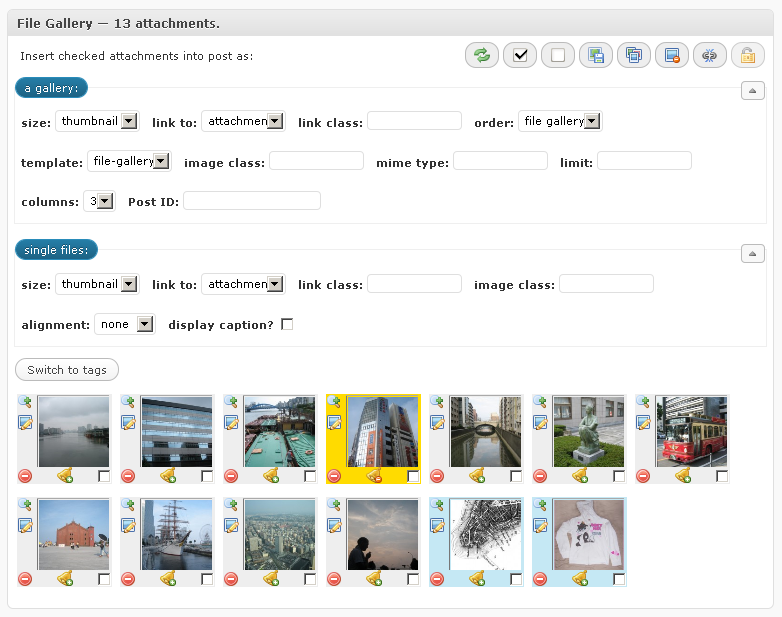 I would like to implement it as a plugin for wordpress’s image upload and thumbnail creation process. Might be suitable to exist as an option within your plugin. Hey, I would like to be a beta testes, where can i sing up? Hi, i would like to see this great plugin released soon. 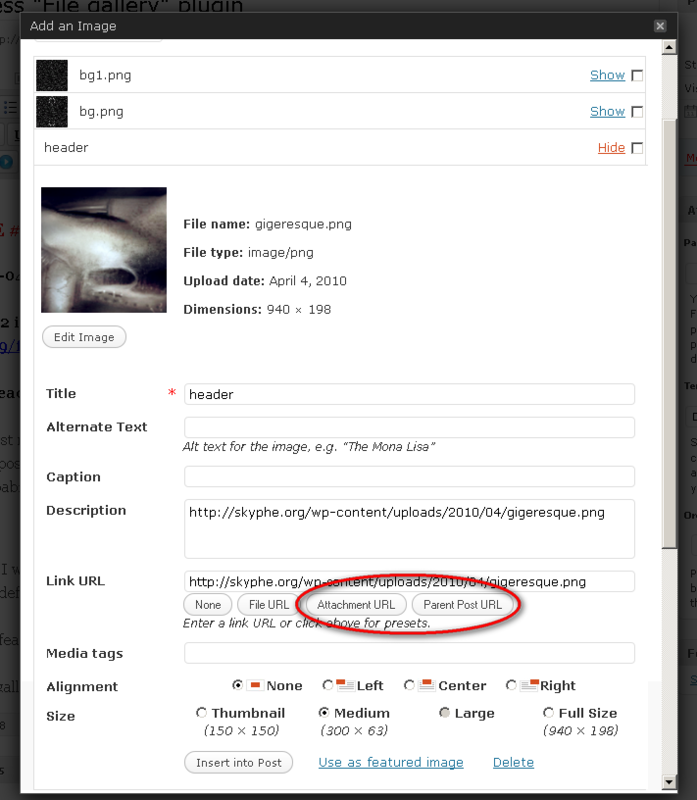 I dont really like wordpress options to manage galleries & post/page attachments. Your code is a big step forward. got a small problem with the Plugin. wenn I try to add Images to my post he tells me that he added the images but i cant see them. when i open die media browser again i see the images I choosed puplicated with large numbers at the end “image.jpg (12432323)” e.g. I’ve just installed this plugin in one of my projects and it looks pretty good. Will be glad to continue testing it, due to the fact the nextGen plugin does kind of problems lately with cropping etc. 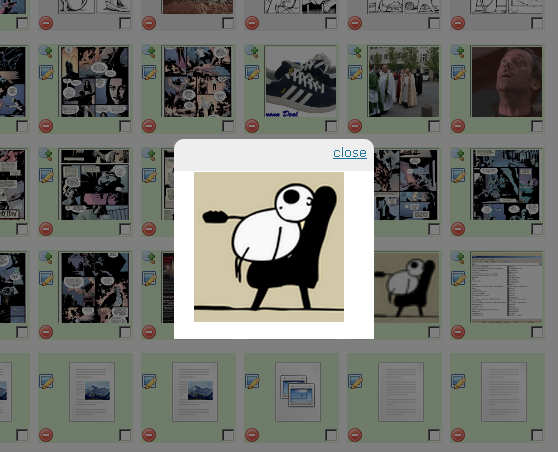 That thing the gallery handling is directly inside the post/page editor, is just a great idea. By the way, when you will finish all the testing and release the plugin to the WordPress repository, I’ll also be happy to translate the plugin into Hebrew, so let me know. I’ve updated the plugin to version 1.1, but it’s still not done. See top of the page. Also, you probably won’t see any difference usage-wise, unless you’ve been playing around with gallery template files. Templates are now pure PHP without variable placeholders, for easier use and faster parsing. I was looking for a way to differentiate attachment copies from the originals, and this was the first thing that seemed OK to me – to add the post id in braces after attachment title. In v1.1, you can filter it using the “file_gallery_attachment_copy_title_extension” filter. V1.2 is available for download (see top of page for updates). Please leave feedback if you decided to test the plugin! I tryed to create my own Tempalte but it doesnt appear in the template dropdown. Did I have to make some settings somewhere that it appears? Great plugin! I was really looking for a way to put images from my library into a gallery. Hi, thanks for the improvements. I’ve made a quick test and noticed something. Also it is now double in the media archive with the diggit at the End, on other Images I used the file-gallery it is’nt so ..
For now, you can filter the text that gets appended to attachment title using the “file_gallery_attachment_copy_title_extension” filter, but I’ll add this issue to the list of options in the next version, so you won’t have to filter it, but rather check an option on media settings page. The option to load attachments from another post including the order would be great! Also just tested your plugin, and it is indeed great !! 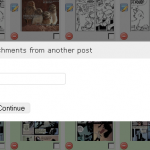 I found a solution to my ‘problem’… when saving the menu order it not only changes the order of the current post and attachment, but also all the others posts and attachments. The following changes in menu-order.php solved it for me! Hmm, that really shouldn’t happen and I couldn’t replicate it on my local test site, but I’ll take a look at it tomorrow. In the database all the other items (which were not sorted at that time) had their ID copied to menu_order. and please tell me if that works. I’d really appreciate it. I’m working on 1.5, just generally going through the planned features list. It should be available here by next Friday. @aesqe, Nice one! Your fix works… so simple. Also just tested 1.5, its great, no bugs here! I would love the additional option to output all the attachments as a list in my theme, and be able to turn off the insert as “a gallery” and “single files” options. This way i can design the gallery for example with CSS + Jquery, and I can give it a fixed place in the layout … and I still have your great interface with sorting / add / edit etc, and ease of use for my editors. b) a function that would do exactly what my plugin does with the [gallery] shortcode and all of its options, but without any formatting? if it’s a) – that’s easy and a couple of plugins do that already. if it’s b), I think I could break the main function into a few smaller, specific ones, and make that happen, yeah. I meant “A”!, and that’s exactly what I do at the moment … (using plugin: http://wordpress.org/extend/plugins/jr-post-image/). But I thought it would be a nice addition to your plugin, especially if the insert “a gallery” and “single files” options can be hidden. Your plugin is very useful, but unfortunately is incompatible with WordPress Mobile Edition. Could you please fix this incompatibility? Wow aesqe, that looks really promising! I have a problem, when choice to add an uploaded image of the media galery, the link “show” doesn´t work. Only post gallery works. How can I fix this bug? page on the mobile browser. I quote Phil.. it’s the same problem that happens to me. Sorry for such a delay with v1.5, people, it’s been a very busy month. I’ve managed to work for a couple more hours on the plugin this weekend, but it’s still not done. I’m quite sure that v1.5 (or at least a beta version) will be available for download this Saturday. Just FYI: the next version of plugin (be it 1.5 or 1.5 beta, heh) will be available for download this Saturday. WordPress Mobile Edition problems are fixed and the two plugins are now 100% compatible. file_gallery_list_tags( $type ), where type can be: html, object, array or json. Great addition to be able to see the thumbs on edit pages and posts screen ! Just a small problem with it, on posts edit page they are small and nice (80×60), but on pages edit page they get the thumb size (150×150), so they appear very big in the edit screen. Where should be the change to see the thumbs smaller also in the pages edit page? @Maor: I couldn’t replicate the problem on any of my setups… Please try beta 2 and see if that solves the bug. Sorry I couldn’t be of more help. I hope it’ll be approved soon and available as an update from WordPress plugin repository. If you’re in a hurry, head to the top of the page and download it from here. what version of plugin and WordPress are you using? one of WordPress nightly versions from a week or two ago had a similar problem, but it was fixed a couple of days later. 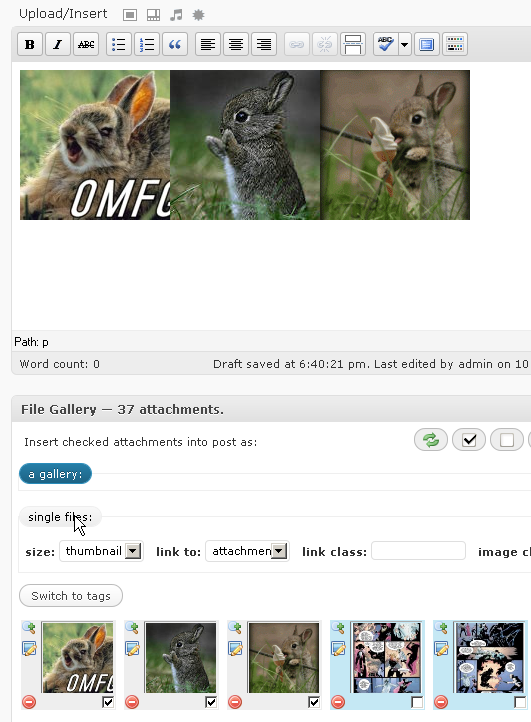 File Gallery 1.5 should work flawlessly with WordPress 2.9.2. I thinks this plugin is exactly what I needed for a project. Tanks a bunch! 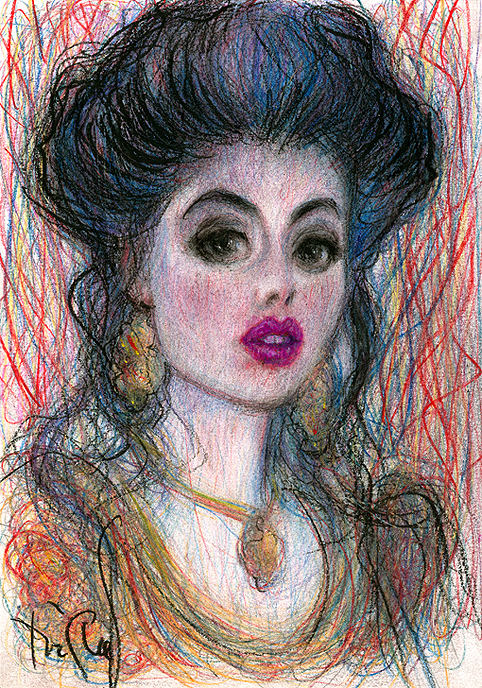 But anyway, the plugin works and I am grateful! Thanks for the reply! I updated, it works great! 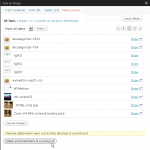 I’m very impressed with your plugin and I think it’s a great improvement for the images management in WP. I tried to use it as complete “insert picture in post” but I did not find a simple way to tell the image to stay “center” “right” or “left”. I suppose I have to complete the “image class” field but it’s not convenient. Second thing: the possibility to choose a link to file or page. I would prefer a “to file” default behaviour. I wrote a post for my plugins blog (in french). It will be published the may 22th. but you can already set “link to” defaults via the settings page (settings->media). 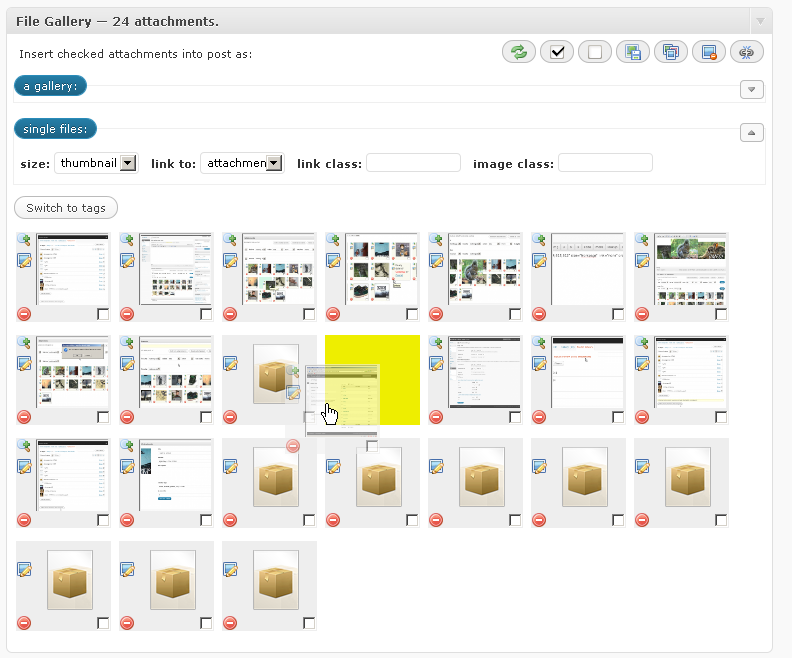 I cannot change the order of the images in the galleries with drag and drop in two different WP installations. Is it normal ? Could you describe exactly in what situation does this happen? OK :-) (I did it the way you say). So, what the use of drag and drop ? And the 1.5.2 version :-)) ? Also, I might find some time to work on 1.5.2 this weekend. The plan is to add image align options and continue work on TinyMCE integration. Nice :-) (you can leave the TinyMCE integration as I don’t use it :-)). I am appreciative of your hard work on this plug-in. It really increases the Media Library’s functionality, but it seems to get me allllmost to where I need to be. Maybe I am missing something? it’s hard to explain, but ..
where they could drag&drop (or select) which images they want to insert as a GALLERY into the New Post. I don’t think that’ll work, unfortunately, Cleaner Gallery modifies gallery output on its own, so these two plugins will clash, I think. BUT, I did find time to work on implementing a system that would add easy support for lightbox-type plugins. It will be in File Gallery 1.5.2. For some reason when I try and list all of the tags with your function .. nothing happens. I put in my template .. and it doesn’t do anything. I have tags on my images, file gallery recognizes them in my admin window, yet nothing is showing up. Great plugin! Just what I was looking for. I am using WP 2.9.2 and FG 1.5.1 and have a little problem I can’t seem to figure out. When I upload images the file gallery works great! The full URL to the image src shows up for the image thumbnail. Just like it is supposed to with the full http://sitename.com/wp-content/uploads. But when I upload a document file type like .xls, .doc or .pdf the thumbnail icons located in the wp-includes/images/crystal folder don’t have the full URL with http://….. So the file icons do not show up. Only the title of the file. Is there something I need to configure in the settings path url? 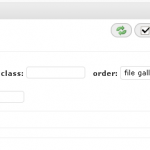 Or do I need to edit the gallery.php file in the file-gallery/templates/default folder? Any help would be greatly appreciated. Hope you kicked the flu! Michael, Lou: Thank you for the bug reports, I’ll release 1.5.2 tomorrow with fixes and updated help file. I fixed it, but I still need to test a few things before I push it to the repository. Hello, I really like the ease of use but want the option to use my Alt text when hovering over the image from the media library properties – but that text does not show in the image properties once it has been added to the local post gallery. Would appreciate insight. 1. Option to auto-generate the gallery from post-thumbnails so that I don’t need to update the gallery every after publishing new post. 2. ‘Link to post’ more than link to attachment or full version image. Could you clarify suggestion number 1 a bit more? I found an option in the plugin to copy all photos from another post, but what if I want to copy only one or several images from another post ? Is it possible? I couldn’t find a way to do it. 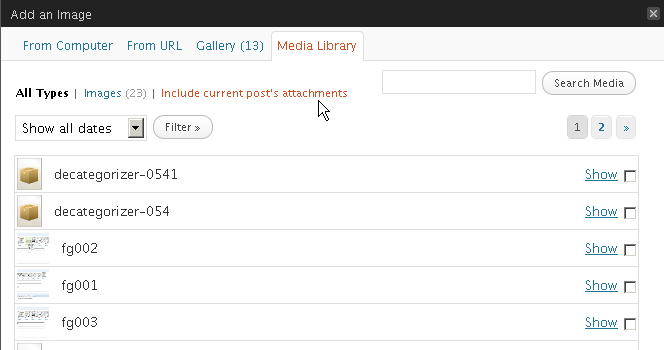 There’s also a useful “Exclude current post’s attachments” link at the top of the page. That’s great, I just haven’t noticed that link on the bottom before! Hi, having an issue with File Gallery blocking another plugin (Pods CMS) that is causing me some headaches. 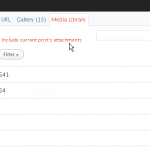 Pods CMS has a browse media call that returns a list of post_type attachment. For some reason, the latest version of File Gallery doesn’t allow this ajax to return any results. Addendum: I know its a FG/Pods collision because when I deactivate FG, the Browse function in Pods works fine. Again, this wasn’t an issue before the latest version. Interesting, since I also work with FG and with Pods in some websites. Do you mean the images can’t be shown while browsing in the edit Pods UI panel? I have a File column on one of my Pods. The ‘upload’ never seems to work, so I use WP Media to upload images, and the ‘Browse Server’ button on the pod’s file input to located the media from the WP database. It was this that wasn’t working. But now seems fixed! I use the also File column in Pods and have no problems using the Upload button to upload files. Try to ask this in Pods forums, I’m sure there’s a solution for your issue. Andy: I’ve sent v.1.5.4 to the plugin repository, should be available for download in 10 minutes tops. Other possible problem could be tinyMCE related if you’ve used it with Pods. I’ve commented the action out for now, until I finish working on that part of the plugin. Thanks! I can confirm that the issue I was having is no longer an issue. The list of media is now properly being populated and I can choose from my uploaded files. Love the ‘intermediate sizes’ that FG provides. Have you checked if FG works fine with WP3.0 RC1 ? This sounds like a great plugin. When I try to open the .zip file its asking for a password. Did I miss something in the notes? Is there a password? 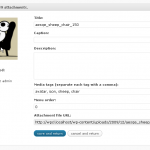 Mattone, the ZIP file has no password – where did you download the plugin from? You should download it only from the official WordPress plugin repository – http://wordpress.org/extend/plugins/file-gallery/. In the “link to” option, is it possible to link it to a URL within the website or external URL? So, each picture, when clicked, goes to another page/url? Please, install Askimet or Bad Behaviour or any other antispam plugin as the subscribers to the comments receive all the spams on this post. well, this was just embarrassing, because i do have akismet installed, but for some reason it didn’t reactivate after last update a few days ago. I am very surprised by your plugin – it is really, REALLY amazing! But…. there must be some small problem with “shortcode” interpretation – I am not able to show only some IDs in gallery, all the attachments are always shown as a result !!! – the result is a gallery with ALL FOUR images…. Does the template work? If not, there’s something blocking File Gallery from taking over the gallery shortcode. What theme are you using? The strange problem is solved, yesterday midnight…. Curious behavior was really NOT caused by FILE GALLERY plugins’s code. 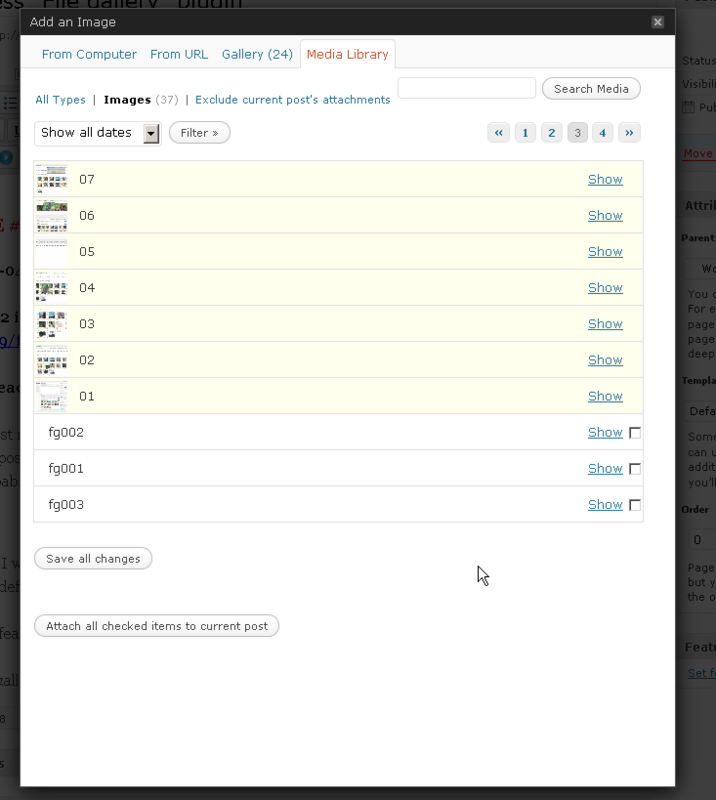 The problem was caused by small piece of override code for getting of valid HTML output of built-in Media “gallery”….. There is no reason to use it with your FILE GALLERY, of course, everything is OK now. I have a similar problem: using the “include” tag, all the images are showing. By the way, what is the difference between the official “include” tag and “attachment_ids” ? I’ll implement include and exclude this weekend, for the sake of compatibility. As far as I can tell, there’s no difference between “include” and “attachment_ids”. Might be best to treat them both as the same thing? I thing it will be better to use “include” and “exclude” for future compatibility. File Galley 1.5.6 with support for ‘include’ and ‘exclude’ parameters is available for download from the repository. 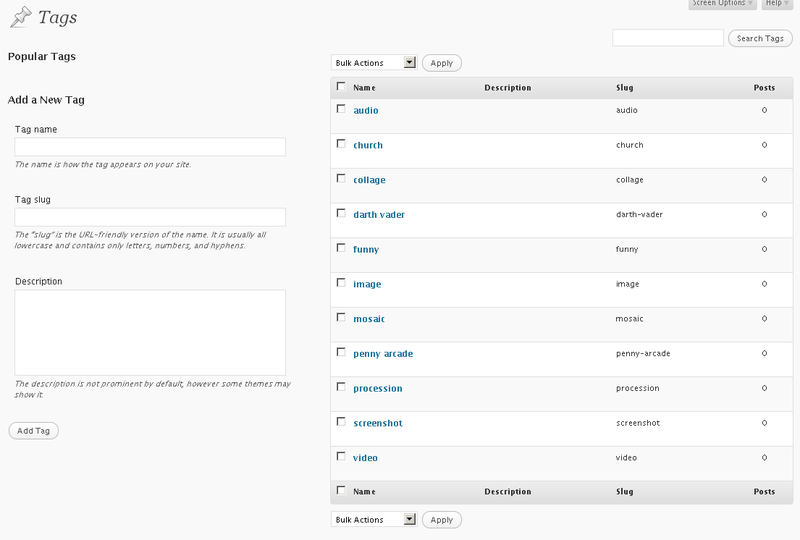 I’ve also added column options and a “clear file gallery cache” button to the UI. Your plugin is excellent. I am wondering if you had a chance to look into the link to option to external URLs? I’ll see if I can implement it tomorrow, shouldn’t be much of a problem. I think your plugin should be a part of WP core…. I would like to show in pages/posts some series of photos. Your FILE GALLERY + WP Media Library seems to be definitevely the best solution for me (and probably for lots of people). My idea is to have a possibility to upload such CSV data file and extract the data (bind the data) to image items in Media Library. For the reason of compatibility probablz directly to “Captions” part of an attachment’ description – I think it would be by far the most robust and easiest solution (?). The “data binding point” would be probably the Id of an attachment – the Id in the file will have to be the same. 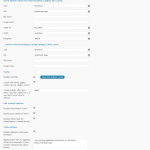 – then it would be indiferent to WP database item changes etc. etc. Once uploaded data is a part of image standard description. I know, it is probably above the purpose of FILE GALLERY, and the demands of many users, but I think it would be really great to have some feature like this in future. I don’t think some monsters like NextGen or Ecommerce are suitable for this…. Examples of SQL queries suitable for such rough data import to Media Library (after some study of table structure etc….:-) ? Sorry for this long “text” post, I hope “varchar(255)” length would be better. It would probably be best to use custom fields for attachments in your case. It probably wouldn’t require much work to implement it in my plugin, but it looks to me like it might be better to create a separate plugin to handle those custom fields. Now, importing CSV data into the database is trivial (take a look at PHP’s native fgetcsv function), and yes, you could use the caption field as a quick solution. Sorry I couldn’t be of more help, but I hope this can get you started. Hi, I keep getting the following error when I try to activate File Gallery. Any ideas? Got it working. Looks like it may have had something to do with the basedir that was set in https.conf. Interesting issue popping up when I use this plugin. When editing posts and pages, the “Featured Image” widget will show “Set Featured Image” for a second or two and then change into a “-1”. The only way I can set a featured image on a post is to insert an image and click the set featured image option inside the media browser. If I disable the plugin everything works fine. This is great! This is what I was looking for, thanks for helping me solve my problem. Does anyone know ho wto make the two work or at least stop file gallery from handling the displaying aspect and let polaroid gallery do that? Where in the php does your plugin override polaroid or is there a setting in the core or database that tells it which galery should take priority? In the includes folder, at the very end of the ‘templating.php’ file, just comment out line 604. I’m pretty certain that is all you need to do, as that will disable [gallery] shortcode processing, nothing else. That worked – thanks for such great service …. There is no translation files (po) but I have a mixed french/english option page ??? 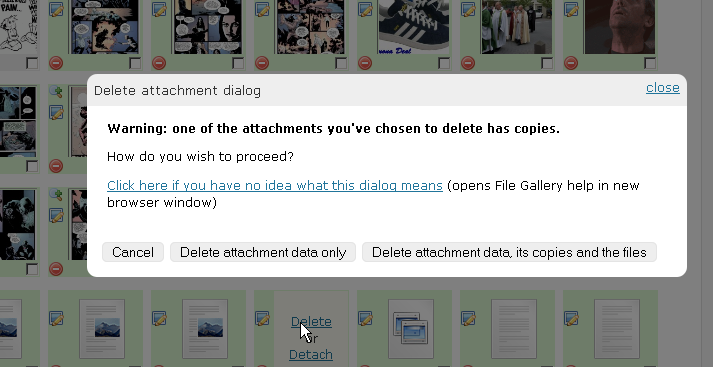 Have you tried deactivating / reactivating File Gallery? Hello I am using your file Gallery 1.5.7. Unfortunately uploaded files appears as broken links. When I check I see the file location of where the documents are uploaded and the Actual address that is being called to retrieve the images are completely different. The files are actually located at “C:\Inetpub\wwwroot\wp-content\blogs.dir\1\files\20107” and the gallery is looking in the http://portal.fcp1.com/files/2010/07/. The files directory in completely empty. How do I get files to upload correctly? @Andre: can you confirm that this is happening only when File Gallery is activated? @aesqe Yes you are correct when I deactivated the pluggin I still got the error. I guess that rules out the plugin. Do you know how I can resolve this issue? – Let’s say that I created 3 galleries in a page. How can I organize my pictures by drag and drop for each gallery separately? 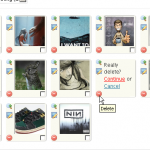 – How can I add a picture to an existing gallery without selecting again all the pictures that I want to see and regenerating the gallery? An other cool thing not related to watermarking would be to explore a better way to update/manege picture fields such as title, alt and caption. I’ll see about increasing the height of those text fields, maybe add it as an option. I strongly vote for adding of “watermark functionality” to your superb plugin. What about to start with some basic version? Thank you for building this plugin. It’s ability to easily attach arbitrary media library items to multiple posts has been invaluable for a site I’ve been maintaining. That said, there are a few issues I’ve come across that I should share with you. First, this site that I’m using the plugin on also has a number of other plugins which add meta boxes to the Post editing screen (Microkid’s Related Posts and Subscribe2 are two of them, among other custom ones). When the site’s content managers add or update posts using Internet Explorer (any version), any changes they make in the other plugin’s meta boxes don’t get saved. I isolated the problem to the fact that the File Gallery’s meta box contains … elements. 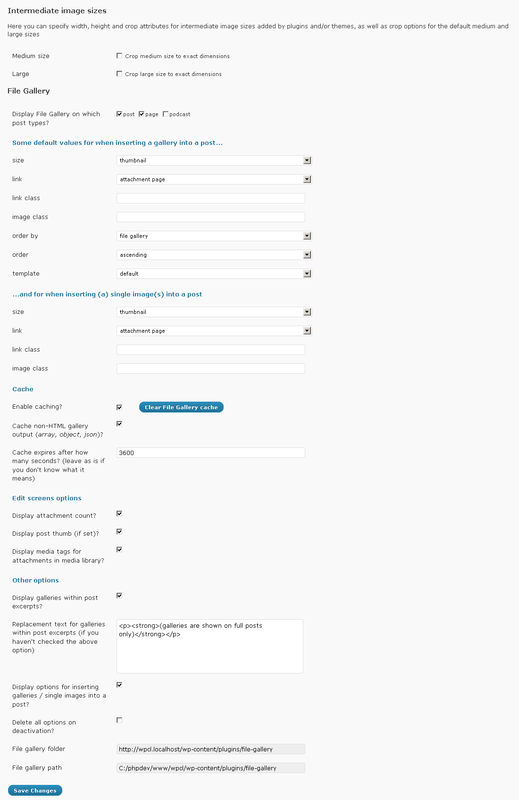 Because the meta box is within the context of the main post content’s form, that means the file gallery’s forms are nested in the main form. Now, not only is that invalid HTML, Internet Explorer doesn’t handle it properly. I’m not exactly sure, but seems to see the nested … closing tag as closing the outer form. Other browsers, however, don’t seem to have any such problems. If I could make a suggestion as to how to improve this plugin in a future release, I’d say to get rid of the nested form elements and move the whole AJAX-y admin tool in the meta box into an iframe to cordon it off, or perhaps utilize the built-in thickbox interface to do all that stuff in. Again, thanks for building this very handy plugin. I’ve been meaning to fix that “form in a form” problem for a couple weeks now, but never got around to it. I’ll try to release a new version by Saturday, with all other reported bugs fixed. Just a quick note: I’m pretty certain that just changing the ‘form’ to ‘div’ should fix the problem… I’ll test it further in the morning. Any plans for being able to create galleries of other media types? 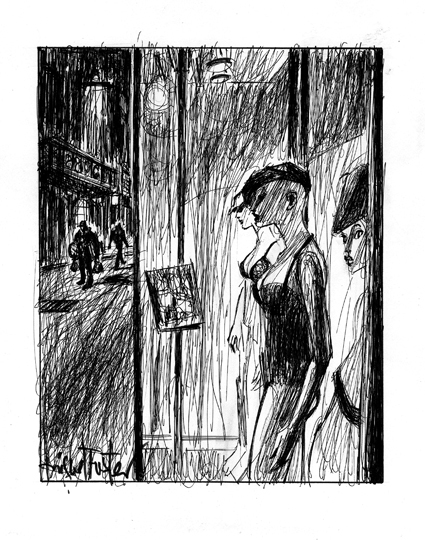 pdfs for example. wordpress let you get the point of creating a gallery this way but doesn’t display anything. several days of searching have turned up no plugins that accomplish this. There are some plugin listing attached files. @startac: I do plan to add some kind of “media_type” option to the shortcode, but I can’t tell you for sure when that’s going to be implemented. I’ll take a look at it this weekend, see how complicated it would be to implement. I’ve been making it a point not to modify anything except through plugins. Plus I’d be blindly cutting and pasting. I was wondering if you could add image support for non-image files. 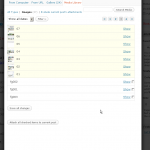 I’m trying to use this to list available ebooks (PDFs) on my site. It works well, except that every file has the same icon & it looks a bit drab. I have image files for book covers, but it seems I have no way to use them. Is this something you could support in the future? Thanks for the plugin! 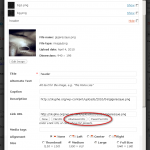 Even without images for non-image files, it is a great addition to WP functionality. I’ll look into this, I’ll see if I can come up with some easy to use system. Just upgraded to 1.5.7 and it seems the “Set Featured Image” Bug was fixed but now another bug is there. Whenever I insert a new image and set it as a featured image, the image disappears when I close out of the “Add Featured Image” lightbox. The “Set Featured Image” meta box keeps resetting itself back to “Set Featured Image” hyperlink. Looks like I have to attach the file first, then set as featured image through file gallerys UI instead of WordPress native UI. 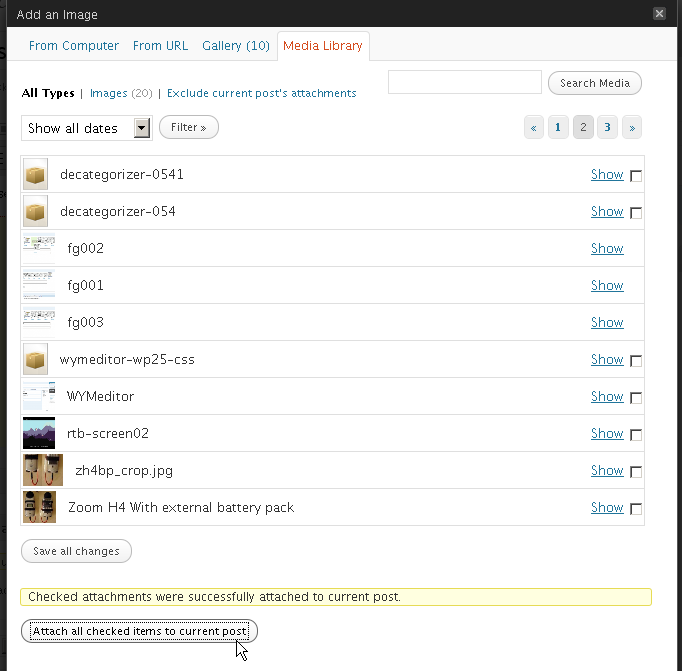 If I don’t attach the file using file gallery and just use wordpress native, the set featured images doesn’t work. Anyone want to test File Gallery tinyMCE integration? Note: the feature currently only works completely in Firefox and Opera (gallery contents don’t get updated in Safari, Chrome and Internet Explorer – read the readme.txt to find out why). Greg, Richie – I’ve fixed the post thumbnail bug, sorry about that, I didn’t take non-attached images into account. File Gallery 1.5.8 beta 2 is ready for testing. I tried to activate your NEW zip from my “Plugins” window and it failed. I tried your gallery plugin before trying the NEW one and it seems like it has so much potential to what I want in a gallery plugin. I just can’t get the thumbs to open the Full size in a lightbox. Argg. Is that even an option? do I need this in addition to another plugin? I tried to read as much of this convo as I could bare to try to find the answer before posting, and gave up. Any ideas. @brookstone: if you want to try the beta, you’ll first have to uninstall the old version of the plugin, or upload and overwrite the files manually via FTP. Otherwise, WP will just throw an error, because the folder with that name already exists. Which lightbox script/plugin are you using? Hey, I installed this plugin and I love it so far. I’m having an issue, though, displaying non-image files. 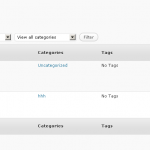 I’m using WordPress 3.0 but I also tested it on 2.9.2 with the same results. When I use the gallery shortcode, it displays all the images I’ve attached, but it does not display the non-image files such as PDF, doc, etc. In order to display those I have to use “insert single”. Is there any way around this? Primarily I wanted to use it to display a gallery of PDF attachments. Very well-written plugin, though. Thanks for your time! Idiot alert, sorry! I spent an hour trying to figure it out, then posted a question and figured it out five minutes later. :) I wasn’t checking the individual files before I clicked “insert gallery”. I’ve committed v1.5.8 to the repository, should be available for download within 15 minutes, and for auto-update by tomorrow, I guess. I’ve added your plugin to my site; yet when I try to add a Link Class attribute of “thickbox” to be able to utilize the thickbox features; it does not add the line of code in that I’ve entered into the field. is there something I’m doing wrong? I’ve installed thickbox plugin as well; I’m just wondering why your plugin isn’t inserting the class input in the backend into the code. @Andrew – could you please specify when does this happen exactly? Is it when you’re inserting a gallery, inserting single image, inserting multiple single images, or when modifying a gallery which is already inserted in the editor? And please tell me which browser and File Gallery version are you using? File Gallery is just what I’ve been looking for (I think). I installed and activated it but I never see the spiffy new and improved File Gallery Box. I just see the same old WordPress one. I’m using WP 3.01. Do I need to do anything special in the “settings” area. I pretty much left things alone there other than the sizes for gallery and individual image display. Well, duh. I never scrolled down far enough to see the NEW gallery below the editor! Looks like case closed. I expected to see it when I clicked on “Gallery” when adding an image. if both of these are checked and file gallery box is nowhere to be seen, could you please try going back to 1.5.7 and see if it would reappear? I am trying out your cool plugin because I need the ability to have the same gallery appear in post translations with language specific captions. However for some reason I can only edit the Description field of a photo. The cursor blinks in the other fields too but nothing appears when I type. I can’t even replicate the tagging like in your video. What am I missing? It’s been corrected in 1.5.9 which will be available tomorrow. By the way, do you plan to internationalize your plugin ? @Li-An: you just have to place the translation file into either the ‘languages’ subdirectory of the plugin, or into the ‘wp-contents/plugins’ directory (probably better, because it won’t get deleted when plugin is updated). The file must be named ‘file-gallery-LANGUAGECODE.mo’. I still haven’t decided if including the translation files in the plugin download is a good idea or not. It just increases the overall download size, and most people are OK with their interface being in English. I’d rather offer translations as a separate download, or even have a built-in WordPress (or plugin) function which would fetch them from a remote location . I can understand your point of view. But WP is wooorldwide and a lot of basic users don’t understant english very well. I will maintain a french translation on my blog but could you change two things to help me to translate your plugin ? There’s a call to a slightly modified version of that function on line 92 (“file_gallery_load_plugin_textdomain”). Please do tell me if that is breaking something, I haven’t noticed any problems. I’m using the codestyling plugin http://wordpress.org/extend/plugins/codestyling-localization/ and it did not find your language files. So I did put the code line and after changed the name of the files. But maybe the code is useless, I will make a try. As there is a lot of things to translate, I will finish next monday the translation I think. When I upgrade File Gallery to version 1.5.8 or 1.5.9 I lose lightbox capabilities on my images. If I roll back to 1.5.7 everything is fine again. Any idea what could be causing this? 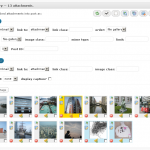 I use wp-PrettyPhoto for lightbox effects since the layering works best with my template set. OK, I’ve found the problematic code. It’s in the ‘templating.php’ file inside the ‘includes’ subfolder. You can download the development version from here http://downloads.wordpress.org/plugin/file-gallery.zip, which has this fixed. Thanks! Looks like that did the trick! 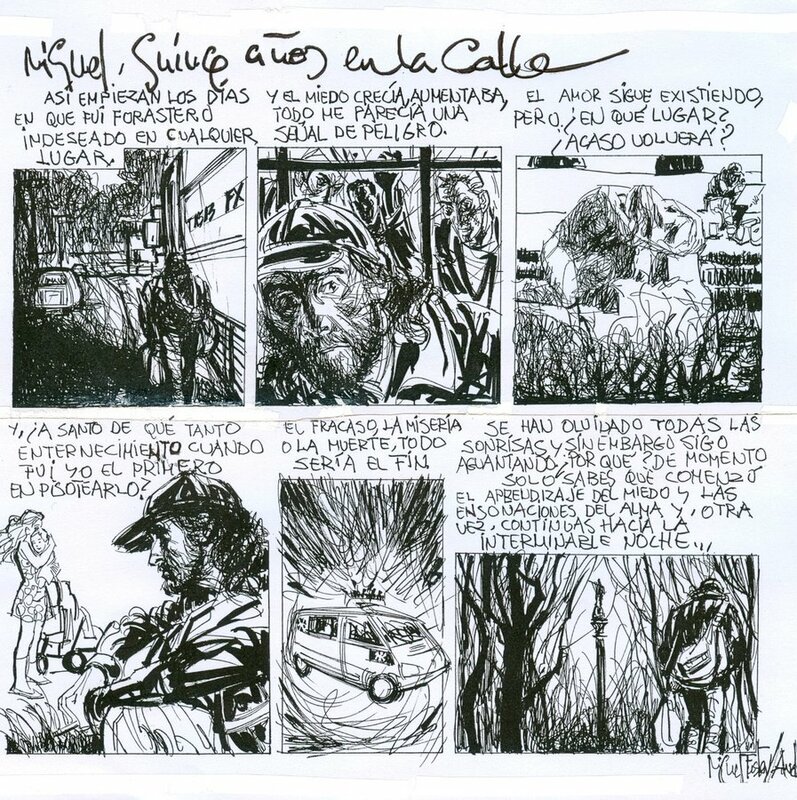 I have several pages of galleries. For each, the thumbnails are to be the navigation system for the displayed full-size photo. Clicking a thumbnail displays its full-size version. The thumbnail set for that gallery must also continue to be displayed (in a 3 x 3 grid). I’ve no trouble getting the plugin to work with the thumbnails and main images showing separately rather than together. I cannot figure out how to achieve the latter. Essentially, the behaviour should resemble what we see with a flicker thumbnail stack in a sidebar, except I don’t want to go racing off to flikr, I just want to show the main image in the same page. Any way to add pagination to a gallery? I’ve got a Page and inside that page is a gallery. Instead of adding individual pictures into posts and sorting that way, I’ve used file gallery to create 1 gallery on that Page, but I’d like it paginated. Also, I have to disable the gallery shortcode for file gallery. For some reason when I’m using file gallery for thumbnails, the thumbnail images shows up. All I see is the images/crystal/default.png image. Not sure if its one of my plugins, url-rewriting, or whatever causing it. I’ve tried removing and reinstalling the plugin, but it hasn’t worked. @Richie: I could probably implement ‘offset’ parameter, which you could then use with ‘limit’ to simulate pagination. Anything beyond that will have to wait, I’m afraid. About your second problem, I’d say it’s probably some other plugin. Try the ever-popular way if you can: disable all plugins except File Gallery, and then start enabling them back one by one to see which one’s causing this. Thanks for the reply. I actually implemented some fancy php and used easySlider 1.7 to achieve a scrolling pagination. Only bug was that I can’t seem to write the rel=”” tag because there is a filter overwriting it. Needed ‘rel’ tag for fancybox to work properly. As for the thumbnails, I was going through file gallery again and it seems that the problem is continuing into single file attachments. If I attach a single image and use file gallery to insert the image into a post by pressing the ‘single image’ button, it drops that crystal/default.png image instead of the single image. So weird. I’ll try what you suggested and get back to you. Thanks again. Found it! The plugin causing the problems is the JW Player Plugin for WordPress by Long Tail Video. This plugin has some issues. For something released by the guys who actually make it, it’s suspect. Wonder what admin filter is causing the issue with file gallery? I will try to find time tomorrow to see what’s the conflict. Any luck yet? hehe. Looking to launch this client, but file gallery is still broken in admin. @Richie: on my installation, both plugins work fine. However, please take a look at the file ‘JWMediaFunctions.php’ found in the ‘media’ folder of JW Player plugin. At the very end of this file, there are two filters which you can try disabling and see it that solves the problem. and let me know if that works. If not, I’ll look further, but this should do it. Thanks a bunch. I’m gonna take a look and let you know. @Bea: which previous and next buttons? Where is the PayPal Donate :D? I live in Croatia and I can’t use PayPal to receive money yet, unfortunately. I’ve opened a AlertPay account, but I still haven’t gotten around to creating a donations page. There’s also my Amazon wishlist, but I guess anything on the list would end up being too expensive just because of the shipping costs. But in the edit pages menu, for some reason they appear to be very large, and not like in the edit posts menu. If you could e-mail me a screenshot of the page, or that page’s source code, that could be very helpful. Is this constant problem on your site, or was it fixed at some point and now it’s back? Also, you’ve mentioned that you could translate the plugin into Hebrew a while back. If you ever decide to do that, I’ll gladly include it with the plugin :) And that goes for anyone else who has a translation. 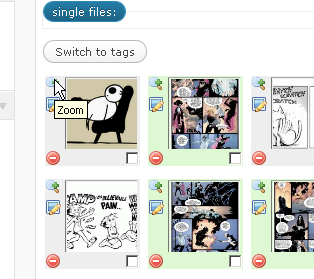 Well, afther upgrading to WP3.0.1 and to last version of FG, the thumbnails on the edit pages page do not appear big, but the td element is just to wide. I assume it is something in css. I’m emailing you now 2 screenshots of how it looks . About the translation to Hebrew, I’d love to translate the plugin, I hope to do it in the next coming week and then I’ll mail you to translated files. I’ve added a CSS fix in latest development version. It will be included in next version, but I’ve also updated it in current stable (1.6.0.1), so you can re-download and re-install that one, if you wish. I’ve re-downloaded and re-installed the plugin 1.6.0.1 from the WP repository, but it looks the same in the pages edit page. For some reason file gallery does not appear when i’m creating a new work or editing existing works. However it does appear in posts and pages. @Greg, are those custom post types? If so, there’s a bug I haven’t isolated yet – when upgrading the plugin, some of the options might get reset, so that’s probably it. Go to your media settings page and scroll down to “Display File Gallery on which post types?” and check your custom post types. Sorry about that, I’ll look into it this weekend. Brilliant work! I’ve been searching for such a plugin for a while and just found yours. It does what I need it to do: attach images across multiple posts. THANKS a lot for this! with little success. Any help you could offer would be much appreciated! I have an issue, that the thumbnails from the plugin do not change. 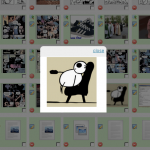 It is always only the thumbnail from the first PDF I uploaded to my media gallery. Any idea? @Michael: I haven’t had the time to work on PDF thumbnails yet, but I’ll try to implement it by the end of this year. I’m trying to use the “file_gallery_shortcode” to retrieve the first image of the gallery to display as a “featured” image on the home page. I can’t find an explanation for the different options. It really doesn’t matter what I put in the array, it always displays the defaults. So if I specified: ‘id’ => 398, and no other options, it still displays the current post. Sorry for not replying to any requests lately, but I’ve been home sick for the past ten or so days (again), and I’m really not in best shape (paranasal sinuses problems, headaches and general dizziness). I’m starting to feel better and will go back to work on Monday. I’ll also try to take care of all the File Gallery issues as soon as possible. OK, I’ll start by suggesting that all future support questions should be posted in the official WordPress.org forums. I’ll respond to all the unanswered questions asked here with a reply, and then I’ll move to the forums. I’ll place a notice on top of this page and shorten the list of comments, but I won’t close them. unless you specify only “image” as mime type, then yes, all file types will be visible in the gallery. I hope it is not serious, because while inserting “gallery” everything is OK! Could be possible the same behavior of “single files” captions as built-in WP way? (that is wrapping tags, CSS classes – for the compatibility and “the same visual result” reasons). It would be REALLY SUPERB! Tested on WP 3.0.1, FG 1.6.3. I’ve implemented it in 1.6.4 which should be released tomorrow. Captions are OK. I am happy that my small “feedback” was a bit helpfull. As far CSS: I think the “thumbnail size” could be one of parameters in admin config settings of FG. I would like vote for adding of configurable path both to “file-gallery.css” and the “templates” folder files…. Of course, in case of ! file_exists(USER_PATH……) FG could load the default files exactly like now. You can also filter path, url and name of default template. Aesqe, are you sure there is a new beta-file(s) in ZIP? I can’t see any difference (in Media options creen + WinMerge file comparison), but maybe I am too tired today…. For me is 1.6.5-beta certified. Great! Thanks joo :) I have a couple little things to fix and get some new strings translated and I’ll release 1.6.5. Probably on Sunday. I’ve added support for attachment custom fields – anyone wants to test? It’s still not released, so here’s the link to the trunk version (v1.6.5-RC): http://downloads.wordpress.org/plugin/file-gallery.zip. 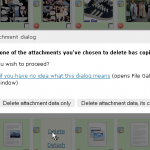 I have changed a “caption text” via File Gallery’s “attachment edit options”. I hope it is not a very bad news. I was trying to find a way to make it easy to add links inside captions without having them nullified by WordPress’ TinyMCE plugin. URL encoding was one of the things I’ve tried and I forgot to revert that change for single attachments – sorry. I’ve uploaded a beta version to the repository as the current trunk version, you can download it from here: http://wordpress.org/extend/plugins/file-gallery/download/ (click on the Development Version link at the bottom) – it should be version 1.6.5.1-beta. If it’s not that version, please try again in 10-15 minutes when the repository refreshes. 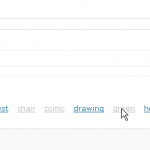 1.6.5.1-beta – captions are OK.
just for your feedback – “custom fields” works perfectly. I have tested them in some “FG demo template” for the time being – really superb! I think there is a huge potential with this possibility. Hey – Great job on this plugin! I absolutely love it… but I do have a question. Is there a way to paginate the results? I have 92 attachments that go on this one page. I can tell it to limit to 12, but it ends there. It doesn’t paginate in any way. How would you suggest this works? just be aware of the fact that this won’t work properly with paginated posts or pages, as it uses the same query argument (page). how to activate lightbox effect into gallery? hey mosaica, and sorry I’m replying this late. the easiest way to add a lightbox to your gallery is to use a link class of ‘thickbox’ in the gallery shortcode, and also add ‘thickbox’ to the list of auto-enqueued scripts on the media settings page (at the beginning of File Gallery options, under “Auto enqueue lightbox scripts for which link classes (separate with commas)?”). Hi, I’m using your tool to post large batches of .pdf files onto my webpage and am wondering if there is a way I can force the tool to autopopulate the title of the .pdf to the .pdf image. I see that if I hover over the .pdf it will show the title, but I want something static. Any ideas? That would require either me implementing something like a ‘same title for all images in this gallery’ option into File Gallery, or a completely different plugin which would be able to set the same title to many attachments. I, personally, don’t see much use for many images with same title on hover, and – as I’m limited on time I can spend developing File Gallery – I can’t really promise you this will be implemented any time soon, or at all. I just want to ask if how can I link the gallery on the pages into their post? I really have hard time with the linkings. When I try to click the thumbnails from my pages, it will only direct me to a larger portion of the image. I hope you can help me on this. 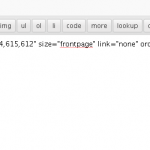 Pagination works only on posts, not pages. There should be a way to fix it… :( Anyway, thanks for the great plugin! It’s been fixed in v1.6.7 which is currently in the trunk. Love this plugin btw. I have a few questions though. Does the Gallery always have to be in the post content body? I am floating the post content to the right but want the gallery to appear to the left of it. I need to somehow separate out the gallery from the post content so that I can get it in a div floating to the left. Just remember that calling the function won’t queue your CSS files automatically, you’ll have to do that manually. 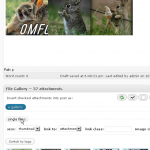 I added this plugin, and now none of my galleries work in 50+ posts! Every time I click on gallery thumbnail, it takes me to a blank page with the title/description of the photo. I tried deactivating the plugin, and the problem remains. If I try to edit or delete and re-make the gallery, I get a blank gray screen, or no response. I’ve tried both Safari and Firefox browsers. I’ve got interviews coming up tomorrow and using this plugin has completely ruined my carefully constructed portfolio. I have no idea how to repair the damage. Please help. Jessamyn, I’m sorry to hear that, but I don’t think my plugin is to blame. If you deactivated the plugin and the problem remained, that means something else is causing it. 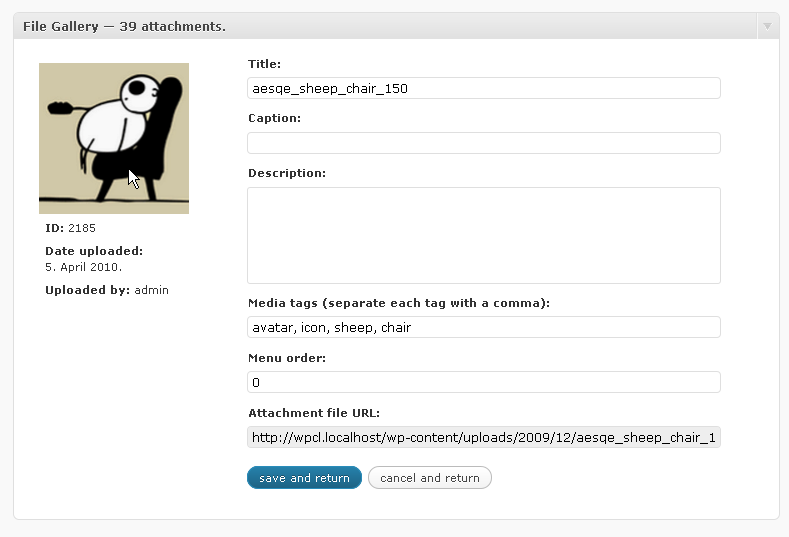 File Gallery does not change any WordPress settings, it merely hooks itself to the [ gallery ] shortcode function. If the site in question is http://solongsweetlime.com/, when I visit it, everything seems to be working fine, including galleries. If not, please provide me with a link to the site you’r having problems on, and I’ll do my best to help you. If it’s an emergency, you can contact me via Skype – my username is “skyphe”. Does your pluin extend this feature of the native Gallery? You can choose to link both single images and entire galleries to some external URL, using the ‘link to’ drop down menu. This plugin is beautiful. It’s perfect. This is my first time customizing a wordpress template off wordpress.com and I tried 3 different gallery plugins till I found yours. And it’s perfect :) Only, I don’t know any code, and I can’t seem to get the lightbox filters or whatever activated. But I’ll get somebody to do that for me. Just wanted to tell you that this is awesome. Thanks! hi, love the plugin its awesome. Ive used it on several recent projects, however i recently installed the plugin on a 3.1.1 site hosted on Media Temple’s grid hosting. Now i get a warning statement being written out in the file gallery interface that reads…. It’s a silly bug (silly because I was silly for not checking if the value is zero, eh) that occurs when you have an WordPress image size’s width or height set to 0 – sorry about that. Please download v1.7-RC from here: http://downloads.wordpress.org/plugin/file-gallery.zip, it has that one and a few other bugs fixed. Thanks so much man..you rock ! This is a brilliant plug in. Thanks very much for developing it. 1. If i use the plugin to insert a single image it invariably puts the first letter of the caption text outside of the photo border. 2. Captions for thumbnails do not align with the margins for columns in tabled galleries. If you have any advice for fixing this I’d appreciate it. Is the “simple” template supposed to have the thickbox next/prev links under the caption? If so they are not showing up for me. If not – is there a way I can add them in? Thanks! unfortunately – no, it’s not designed to work that way. 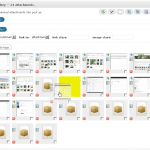 the thumbnails load the intermediate size in the bigger box via ajax, and only then is the biggest image open in the thickbox as a single image. Hello first off all great work with this plugin! I will like to know how to get the pagination working… I need one image on screen and the pagination, so i can view one image per page. I’m also trying to get paginate working, it only seems to work in posts which have the format set to ‘gallery’. Would love to have this working in pages. 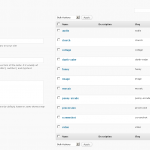 I have been looking at integrating http://wordpress.org/extend/plugins/byrev-gallery-pagination-for-wordpress/ any thoughts? on the post editing screen, you need to set the ‘limit’ number first, and then the pagination dropdown will show up. @everybody: I’ll close the comments here, please continue the conversation in the WordPress.org File Gallery forums: http://wordpress.org/tags/file-gallery.